Last year I was one of the parents that’s struggled to get the number 1 top toy the exclusive Hatchimal. It took me 8 weeks but I managed to get one and it made my daughters Christmas. Spinmaster extended the range this year with the Hatchimals Colleggtibles and they have been a huge hit. They are like egg blind bags with exclusive and rare animals Inside. Lexie has a few and I know they are on her Christmas list, along with The Hatchery Nursery. She literally did think it was Christmas when she walked in from school to find the Hatchery Nursery waiting for her. After searching for all her Hatchimals Colleggtibles, we started working on the egg that was inside the nursery. To reveal what is inside normally you rub on the heart until it changes colour and then remove the shell to reveal what is inside. The Hatchery Nursery helps open the egg for you, so there is no need to rub the egg. Inside the pink flower in the trunk of the tree lays the egg, crank the yellow handle and the egg with move up until it cracks and reveals your new Hatchimal pet. The playset is very strong and durable and isn’t flimsy plastic. There are 35 spaces to fill and it’s a great way to display and play with your new Hatchimal pets. With a push on the swings or down on the slide there is so much fun to be had with the playset. 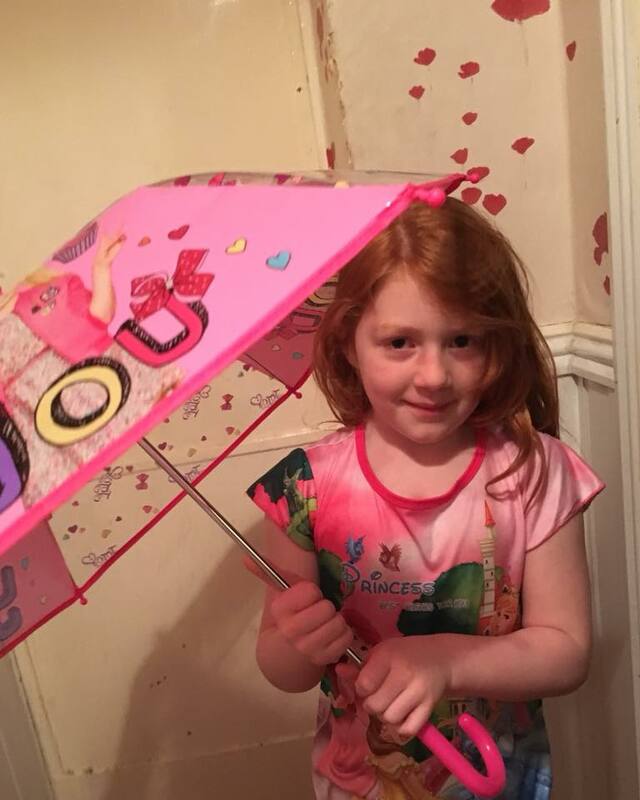 Lexie has really enjoyed playing with her pets and finding things to do with them in the Hatchimal Nursery. Of you are buying the playset I would suggest to buy some other Hatchimal Colleggtibles as you only get one inside the set. You definitely need more than one to play with as there is so much to do. Within the next year, my flats are being knocked down. So I’m in the process of looking for a new place to live. Which means I’ve been looking at different colours for rooms and accessories. 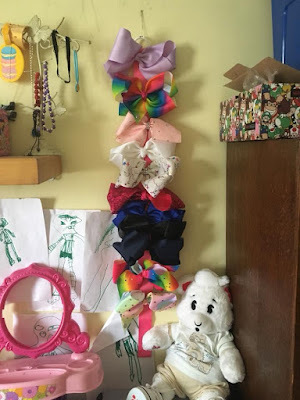 I have never really had anything matching perfect as something always breaks down before I get a chance to get everything perfect and it’s normally something that juts fits in with the budget rather than the room. The kitchen I have decided will be red and I’m already managed to pick up a kettle, toaster and microwave at bargain prices. So when Domu got in touch and offered on of there stand mixers to review, I knew the lovely retro red would fit perfect in our new kitchen. We received the powerful VonShef 1260W Red Stand Mixer, which comes with the dough hoot, flat beater and balloon whisk. All the attachments are easy to change and the mixer is very easy to use. Even the kids could manage using the mixer. We are hoping to bake more in the children together now we have a lovely new mixer. I love to retro glossy finish and it goes so well with our popcorn maker. The stand mixer is so light, easy to move and the suckers at the bottom of the base makes it easy to use when on the high settings. There is a selection of 6 speeds and a pulse function to use so you can get the perfect consistency. 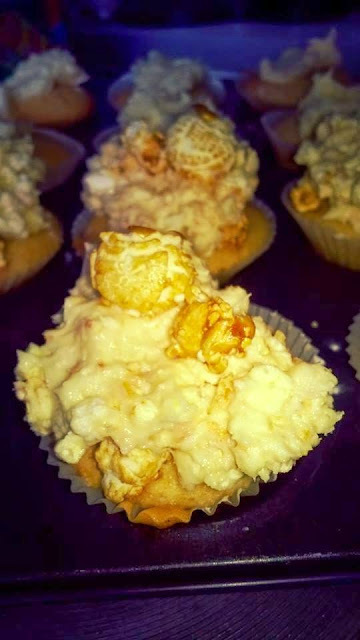 Check out our popcorn cupcakes we made below. 2 drops of vanilla essence. Mix sugar and butter, add 2 eggs and sieve flour in bit by bit. Add milk and vanilla essence. And whisk until smooth. 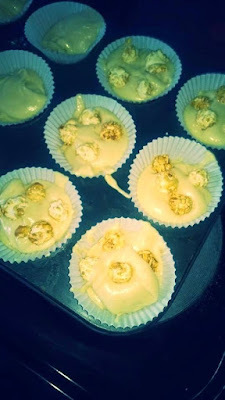 Spoon mixture in to cake cases then add 4/5 bits of popcorn in to the mixture. Cook on gas mark 3 for about 18 minutes. We have been very spoilt testing out the new delicious Desserts Collection From Lily O’Brien’s. 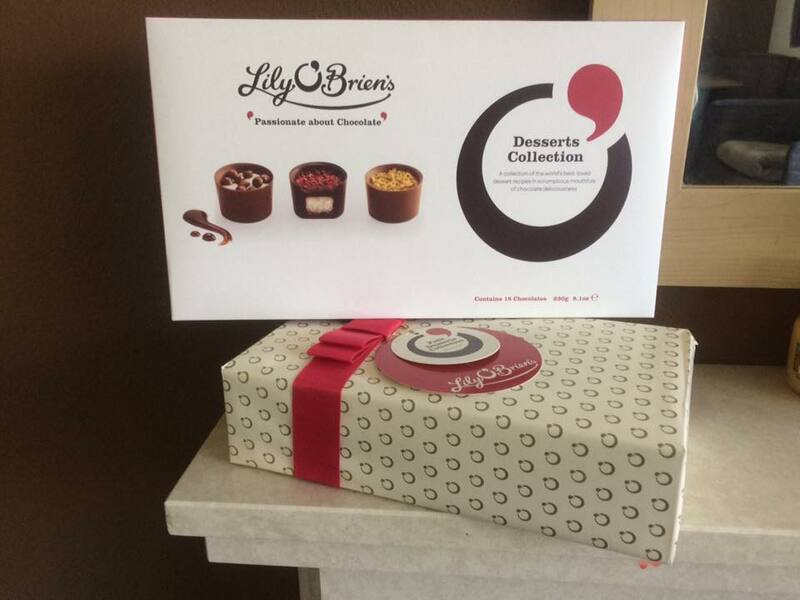 The luxury award wining chocolatier, is celebrating this September with a whole box of the Desserts collection. I love the packing on Lilly O’Brien’s very classy and eye catching. It never needs any wrapping as the boxes are perfect already. They do a gift wrapping service too if you did want that extra treatment for special someone. 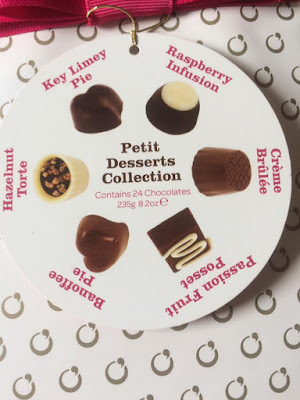 An assortment of the world’s best-loved dessert recipes in scrumptious mouthfuls of chocolate, the flavours in the collection include Raspberry Infusion, Banoffee Pie, Hazelnut Torte, Key Limey Pie, Passion Fruit Posset and Crème Brûlée. 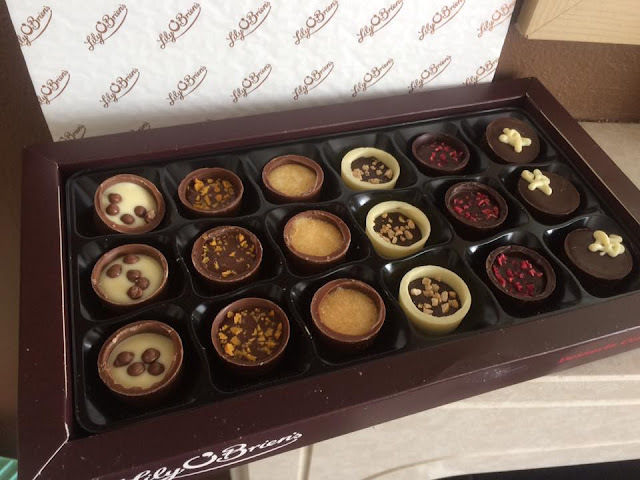 Inside the box are 18 delicious chocolates, three of each flavour. The chocolates are very rich and full of flavour and with a mixture of Milk, White and Dark Chocolate. There is something for everybody in the box and the flavours and chocolate really go amazing together. 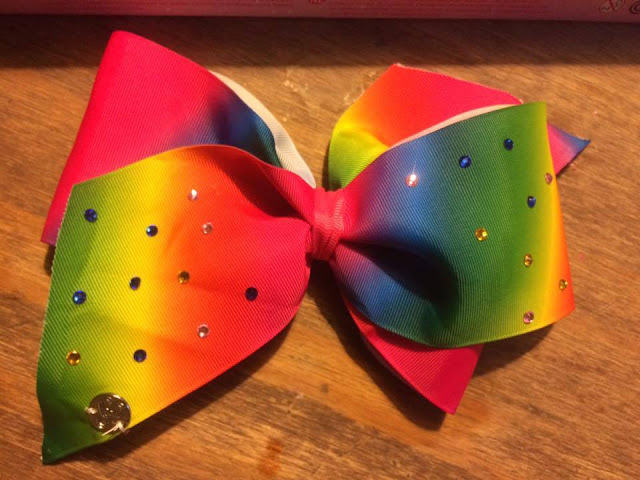 These would be perfect for a special occasion, a treat or a little pick me up for a loved one.